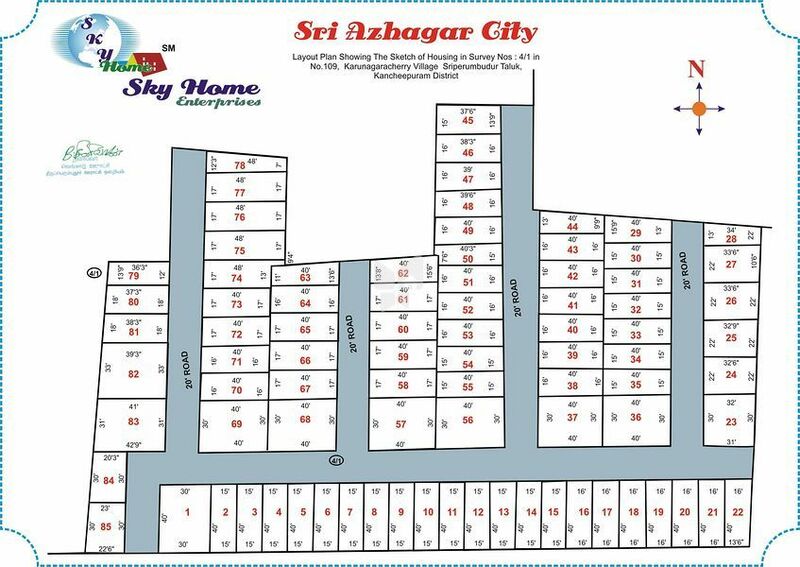 How Far is Sky Sri Azhagar City? Sky Sri Azhagar City is a residential project by Sky Home Enterprises, located in Chennai. It has a thoughtful design and is well equipped with all the modern day amenities as well as basic facilities. The project offers various odd dimensional plots.